Although the Del Rio-Canadian Highway is not well known today, it was considered to be among Texas' most significant highways when the Texas Highway Commission created the state highway system in 1917. 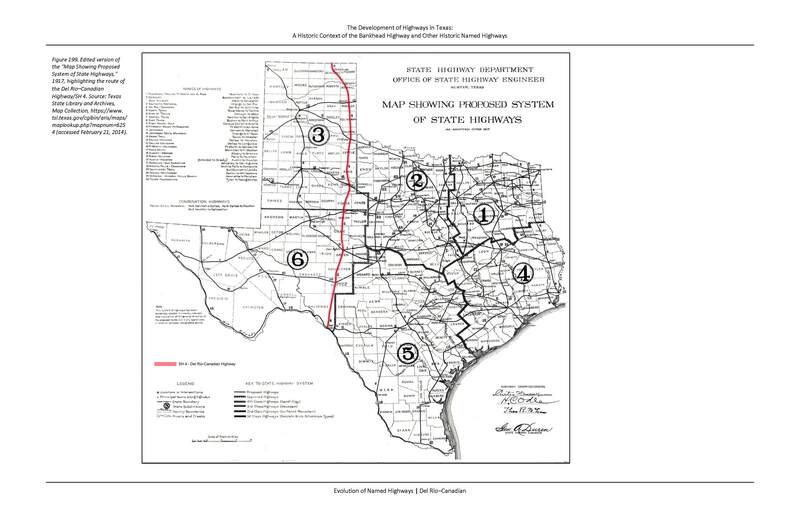 It was designated as SH 4, which made it the fourth most important highway in the eyes of the original members of the Texas Highway Commission. The Del Rio-Canadian Highway was a north-south roadway that served West Texas and the Texas Panhandle. It extended from Del Rio to Canadian and Ochiltree near the Oklahoma border.